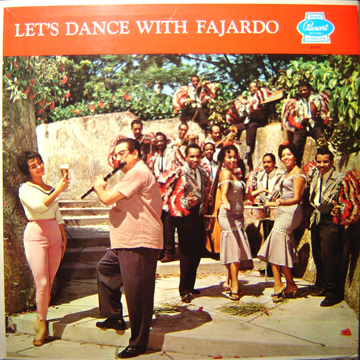 José Fajardo never recorded a full LP in a Cuban studio. 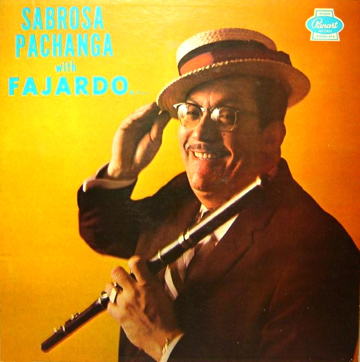 All of his 33 RPM LPs were compiled from 45s and 78s. 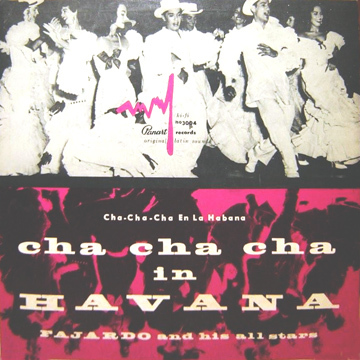 The songs were recorded between May and August, 1955. 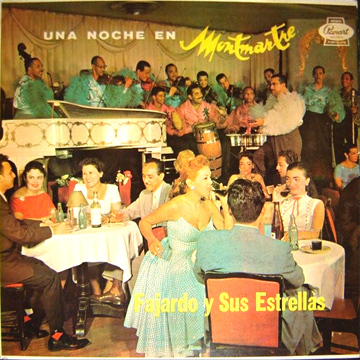 The LP was released around March, 1956. The songs were recorded between Decembre -1954 and July - 1958. The LP was released around November, 1958. 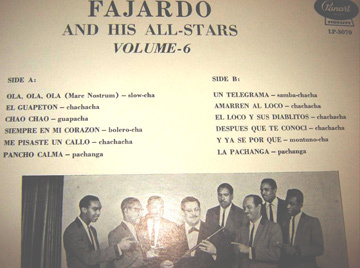 The songs were recorded between July, 1958 and February, 1959. 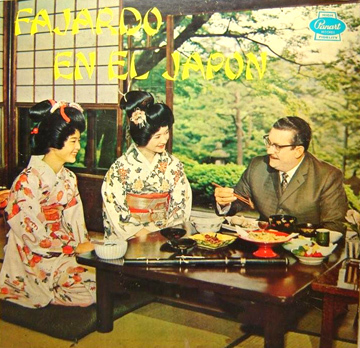 The LP was released in 1960 for exportation only. The songs were recorded in May/June, 1955 - January/February, 1957 and July, 1958. The LP was released around January or February, 1959. 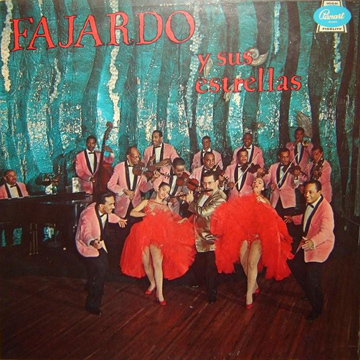 Fajardo was awarded a "Gold Record" for this project. 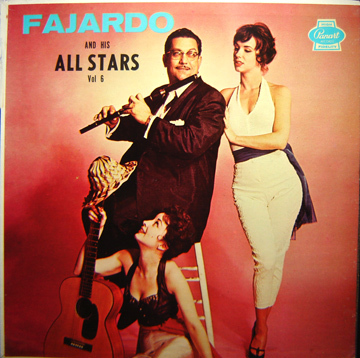 The songs were recorded between August, 1959 and April 1960. The LP was released in August, 1960. 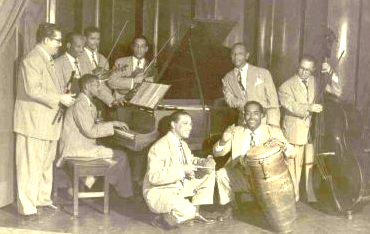 The songs were recorded between April/May, 1954 and December, 1955. The LP was released in January, 1956. The songs were recorded between September/October, 1960. The LP was released around January/February, 1961. The songs were recorded between September/October, 1960. The LP was released in December, 1960. The songs were recorded between August, 1959 and February, 1960. The LP was released in April, 1960. 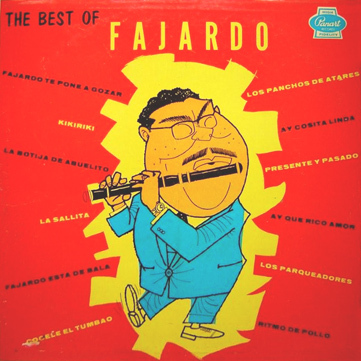 After this, Fajardo left Cuba for New York City. 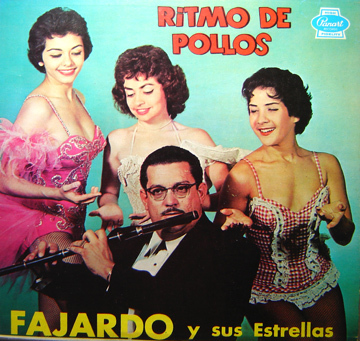 The remaining members of his band changed their name to Estrellas Cubanas.